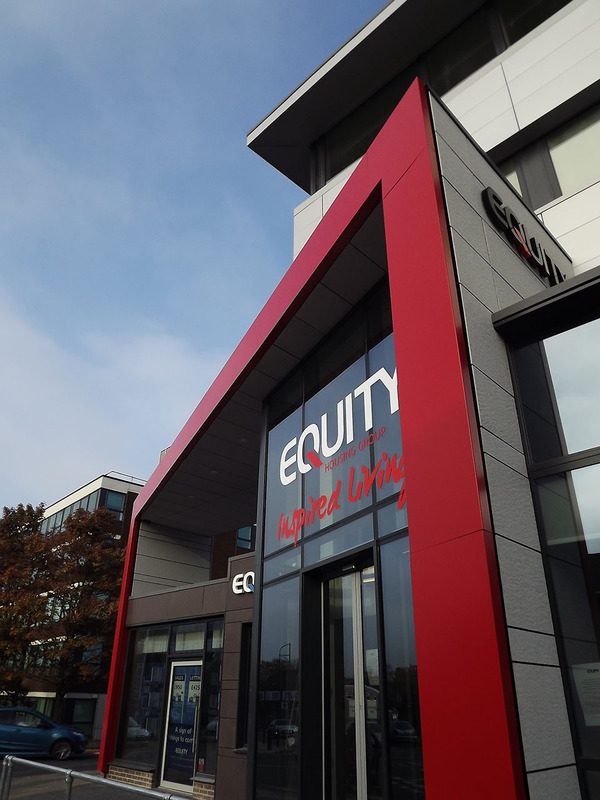 This project was to fully refurbish, both internally and externally, an existing HQ office building for Equity Housing Group on the main road through Cheadle Hulme. The existing building was anonymous from the street and had very little association to the public due to the architectural style, the internal room arrangement and the location of the main entrance off the main road. In line with housing associations’ ‘open and accessible’ ethos they wanted to provide a more connected and active frontage to the building. The main entrance and reception area has been reordered to provide access both from the street (public) and the rear secure car park (staff). 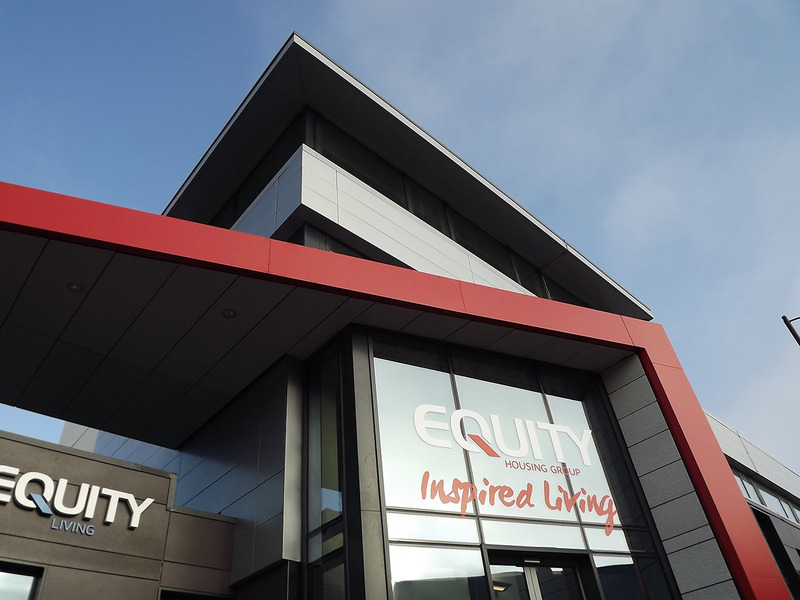 The entrance is highlighted with a bold proscenium arch and links the two ground floor extensions, which provide an accessible shop frontage for their estate agency business (Equity Living) and café (SK Eight). The building has been fully reclad and new windows installed to upgrade the thermal qualities of the external fabric and provide a contemporary aesthetic. The internal arrangement provides open plan offices over 3 floors with new service infrastructure throughout. A roof extension provides conference suite and staff facilities with access to south and east facing external terraces. Solar panels have been incorporated on the roof.